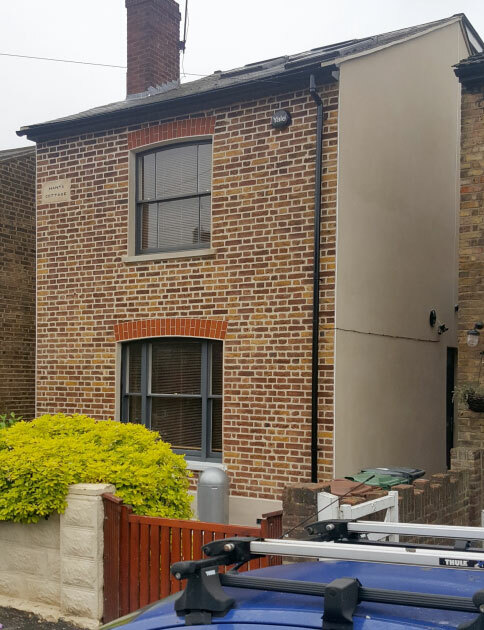 This property had been previously poorly repaired, defective areas of brickwork had been covered over with unsightly render to the front and pebble dashing to the lhs and rhs elevations. 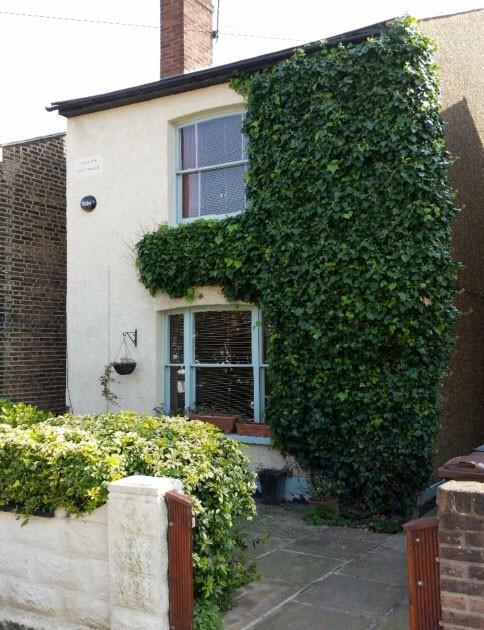 Render and Pebble dashing removal to the front, lhs and rhs elevations. Paint removal to the front natural stone window cills. More than 300 lineal metres of helibar fracture repair bars installed to the lhs and rhs elevations. Over 3000 brick replacements to the lhs and rhs elevation fractures. Complete rebuild of both the lhs and rhs elevation gable walls. Full brickwork restoration to the front elevation including 160 brick repairs. Repointed in Natural Hydraulic Lime Mortar, window arches tuckpointed. NHL lime mortar plinth work to the front and Weber Monocouche Covering to the lhs and rhs elevations.